When you are looking into getting surety bonds for construction projects, whether you’re looking for a bid surety bond or performance surety bond, the surety company is providing you a form of credit. These surety bonds work as guarantee that you’ll bid on a project accurately. The construction bonds also assure that you’ll perform the work according to the contract. If you don’t and trigger claims on the bond, the surety company will pay them. However, you are the ultimately responsible to pay the surety company back. 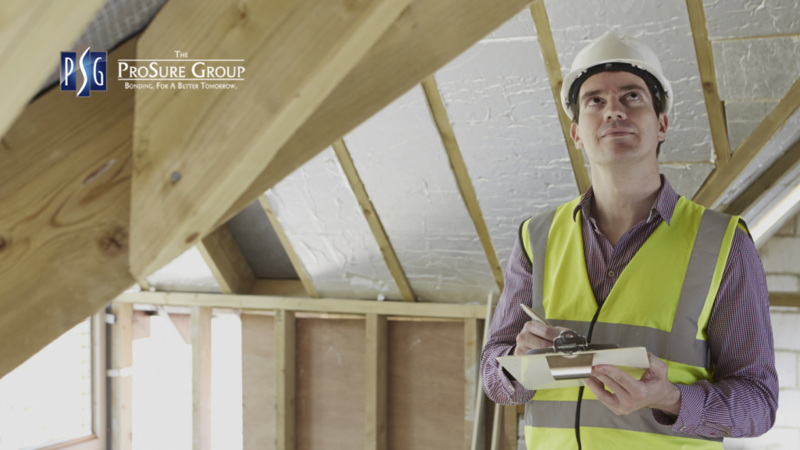 If a contractor has poor credit, the surety company may not want to provide a form of credit to someone who has trouble keeping on top of their personal credit and financial responsibilities. Your personal credit will already be looked at when you need bonds for construction jobs. Surety bond approvals for smaller contracts (about $350k and under) are based strictly on your personal credit. Your personal credit will be reviewed for larger contracts too (about $350K and up), but your financials are actually more important in the surety companies’ eyes when considering your approval. Can I get bonded with poor credit? It is possible to get bonds for smaller construction projects with minor credit issues. However, if you have serious credit issues such as large collections, past dues, civil judgments, tax liens, bankruptcy or past due child support you will not be able to get bonded. Smaller contracts are based strictly on personal credit, and the surety company will see negative items as an indication of how you conduct your business, financial responsibilities and how you’ll perform on the job. 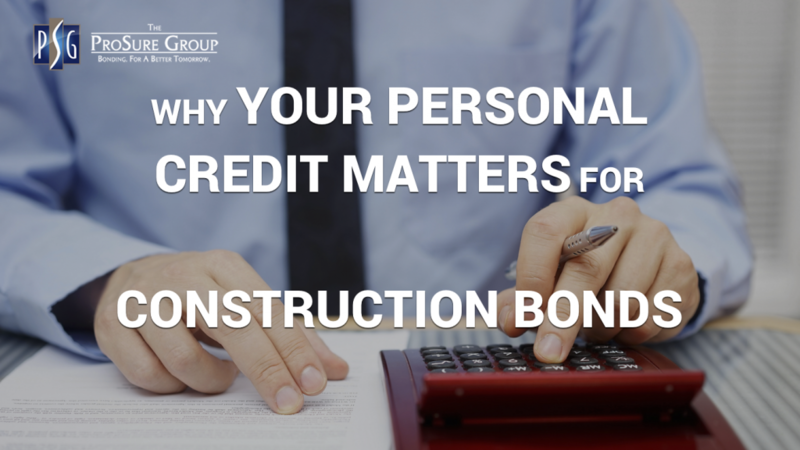 Personal Credit Matters for Construction Bonds: Will my credit affect my surety bond rate? The answer depends on what type of surety bond you need and its inherent risk. For example, notary bond applications do not require credit reviews since limited risk is involved in the underwriting process. Conversely, contract bond applications do require credit checks since so much financial risk is involved with construction projects. Generally speaking, the higher your credit score is, the lower your surety bond rate will be. Don’t worry if you have less-than-stellar credit, though, because The ProSure Groupworks with underwriters that specialize in bad credit bonds. This means we can issue bonds to 99% of applicants regardless of their credit. The ProSure Group can even offer premium financing rates to applicants who work with our non-standard markets. We are here to make the bonding process as easy stress-free as possible for you. Don’t let your poor credit keep you from getting your construcion bond. Our team of bond specialists are standing by to help you secure your bond. Contact Us today!